Aim to help 100% of your sales team achieve its fullest potential. Get these questions answered before you invest. 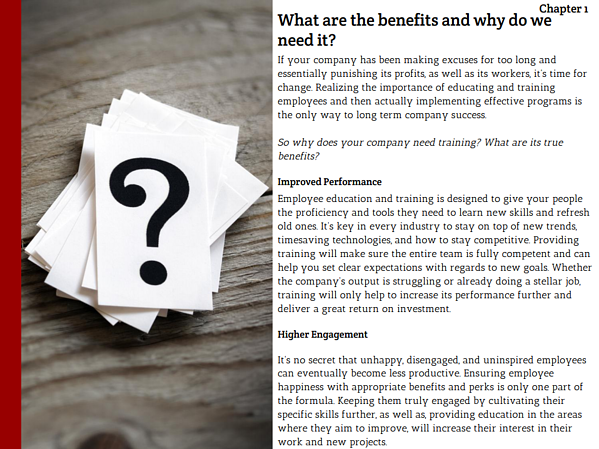 Many companies consider training their employees but question whether or not they are investing in the right type of training for their specific needs. 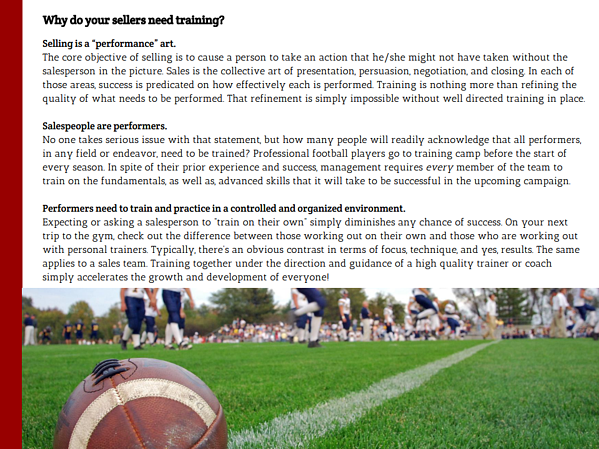 It is important to ask the right questions when considering training. 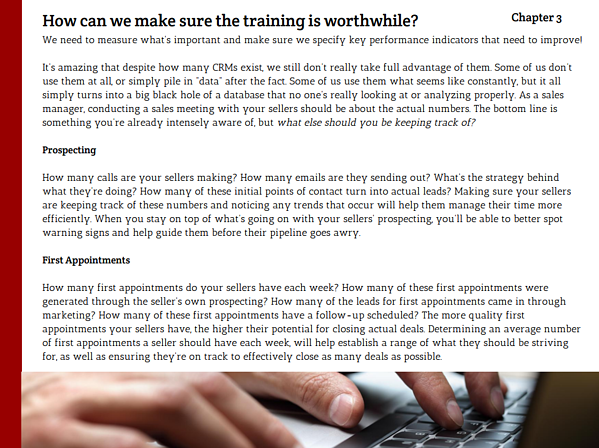 This eBook was written to help you concisely tailor a training strategy, outline what you should take into account before investing in your next training initiative, and help simplify the next steps. You know that the competition grows stronger and that goals are set higher every year. Download the eBook to help stay ahead of the competition.